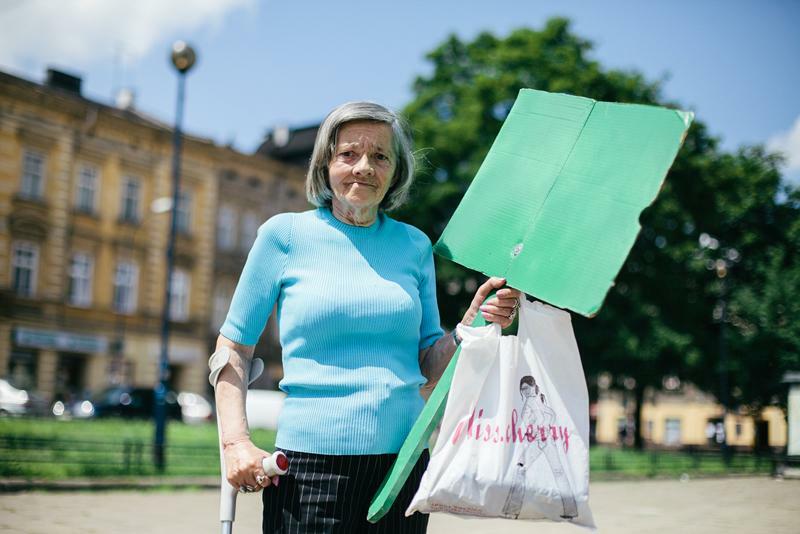 Colouring Invisible in Podgorze was social sculpture. It was a visually attractive socio-artistic intervention. 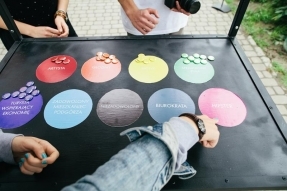 Borrowed from social studies method of quantitative survey was translated to colour coded categories enabling participants to self-identify within happening in city space Grolsch ArtBoom Festival and in Podgorze in particular. Categories of the viewers were related not only to usual art event goers as artists or critics, but also and above all were designed to encourage as many participants from not art related backgrounds as possible. The project consisted of three major parts - badges, posters, and surprising engagement. 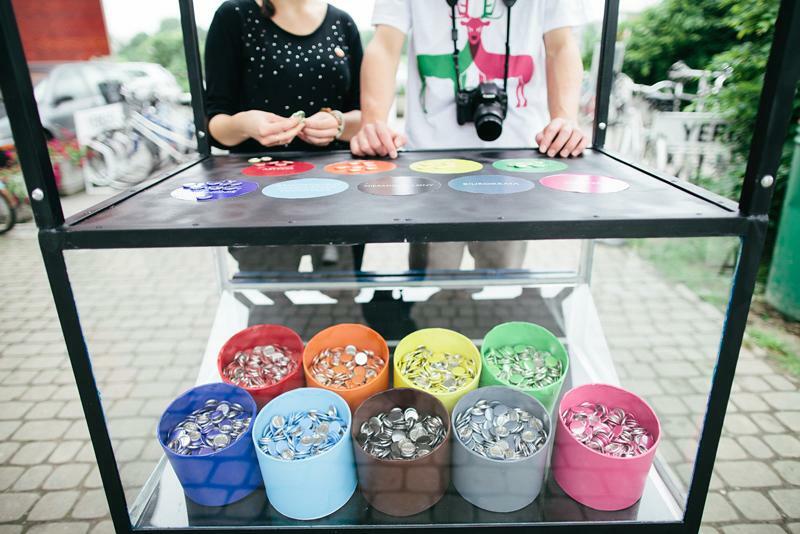 First was the distribution of badges in nine colours, each representing a category of the viewer like: artist, critic, bureaucrat, hipster or content resident of Podgorze etc (viewers could be more one they category or even all of them!). These badges was circulated in the neighborhood via a former pretzel trolley, that was tour the area daily, giving away badges for free to anyone who wishes to engage with the work. The second part consisted of posters decoding each category represented by specific colour e.g. category ARTIST was represented by red badge. The badges were distributed only in Podgorze where 5th edition of the Festival took place, and posters was placed in various locations in Krakow city centre. That was underline this theme of the festival which was related to reconnecting once ‘outside’, ‘forgotten’ district of the city. Anyone intrigued by colorful posters with simple writing had to take a trip to Podgorze to be able to identify himself/herself. The posters created some mystery, and perhaps only make sense when you come upon the pretzel trolley with badges in Podgorze - a happy surprise! 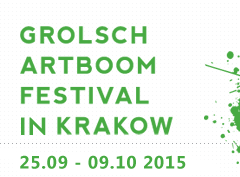 In addition the distribution of badges served to specify demographics of Grolsch ArtBoom Festival as well as aid to asses its popularity among residents and festival goers. Third and finally, on an inter-personal level the badges were designed to function as an ice-breaker tool. 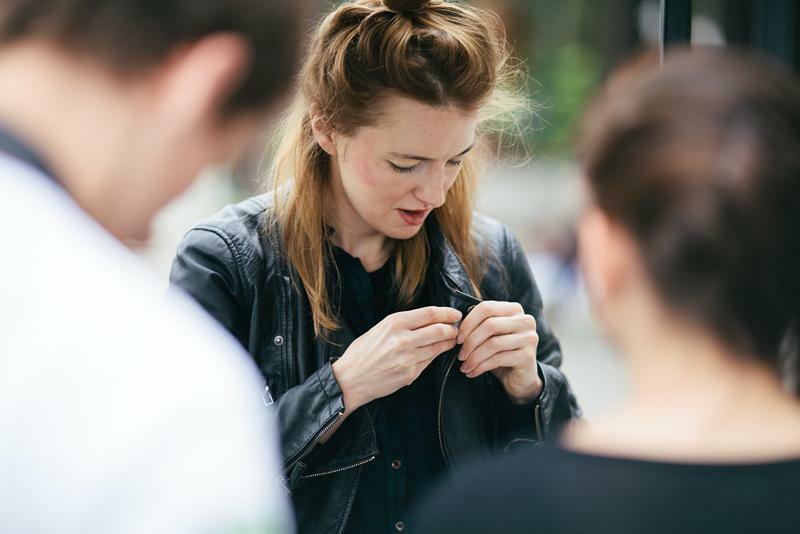 The project allowed strangers to approach one another and ask about about their badge selection and then perhaps discuss more. It was about breaking social barriers and creating more openness between strangers. As viewers/participants engaged, taking a badge - a collectable - with them, hopefully it will serve as a personal décor and prompt future anecdotes about the project or general discussions on art, identity, or politics, or beer. The work aimed to empower individuals to share with the artist their gripes, passions, and protests from the everyday issues like the desiring of more bacon flavored products in their life to political issues like the increase of the living wage. By documenting them and their message artist could pass this onto the world through photography and social media, enabling a greater dialogue. Social Protest was a visual message, a fun/social participatory action, and as a collection of complaints-collectively challenges our ideas of the potency of protesting. Furthermore the work aimed at illustrating a portrait of humanity’s issues large and small. By selecting a blank protest sign in the colour (one of 5) that matches their message, participants were photographed and then their image was uploaded online, with their protest serving as the message for the photo.